Indeed, Roberts, a disability rights activist who died 20 years ago this month, on March 14, 1995, at the age of 56, is hailed as the “father” of the independent living movement, a man who defied—and encouraged others to defy—the once-undisputed view that severely disabled people belonged in institutions and that the able-bodied best knew what the disabled needed. 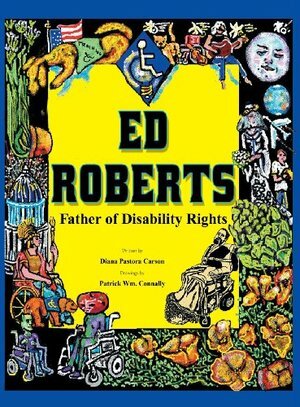 A post-polio quadriplegic, paralyzed from the neck down and dependent on a respirator, Roberts was the first severely disabled student to attend the University of California at Berkeley, studying political science, earning a BA in 1964 and an MA in 1966, and nurturing there a nascent revolution. At UC Berkeley, Roberts and a cohort of friends pioneered a student-led disability services organization, the Physically Disabled Students Program, which was the first of its kind on a university campus and the model for Berkeley’s Center for Independent Living (CIL), where Roberts served as executive director from 1972 to 1975. Over time, from that first CIL, sprang hundreds of independent living centers across the country. Roberts himself was a model—a joyful, positive model—of independence: He married, fathered a son, and divorced; he once swam with dolphins, rafted down the Stanislaus River in California, and studied karate. Boyd, a special assistant to Roberts, had ferried the wheelchair from Roberts’s home in Berkeley to Washington, D.C. In the late afternoon of May 15, Boyd and several hundred other supporters had marched from the Capitol to the Dirksen Senate Office Building, pulling by a rope the empty wheelchair. A memorial service inside the Dirksen Building followed. And then, after the crowd had dissipated, Boyd and wheelchair remained—a horse, he says of the chair, without its general. He had promised Roberts that after his friend’s death, the wheelchair’s last stop would be the Smithsonian. Now held by the National Museum of American History, Roberts’s wheelchair embodies a story of obstacles overcome, coalitions formed and the able-bodied educated. It records a story that began in February of 1953, when the ailing 14-year-old boy, prone in a San Mateo County Hospital bed, overheard a doctor tell Roberts’s mother, "You should hope he dies, because if he lives, he'll be no more than a vegetable for the rest of his life.” Roberts, whose sardonic humor was part of his charm, was later known to joke that if he was a vegetable, he was an artichoke—prickly on the outside and tenderhearted on the inside. The story continues when, several years later, his Burlingame, California, high school refused him a diploma because he had failed to meet the state-required physical education and driver training courses. Roberts and his family appealed to the school board and prevailed—and Roberts learned a thing or two about resisting the status quo. The story continues when a University of California, Berkeley, official, hesitant to admit Roberts, said, “We’ve tried cripples before and it didn’t work.” In 1962, Roberts gained undergraduate admission to UC Berkeley—but not a room in a dormitory. The dormitory floors unable to bear the weight of the 800-pound iron lung he slept in, Roberts took up residence in an empty wing of the campus hospital.